waiting list currently until end August 2019 after september 2018 a 15% increase in price will apply to all items to offset rising costs. 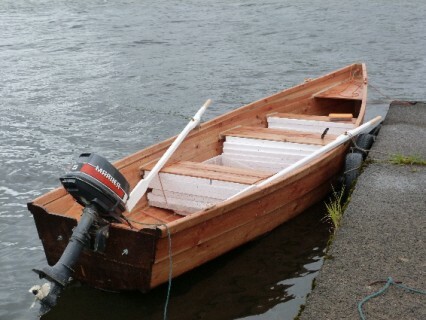 at last,the new ship is for sale . 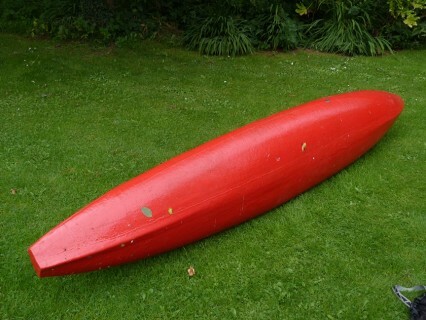 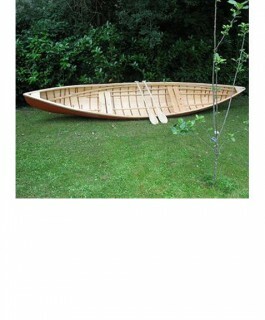 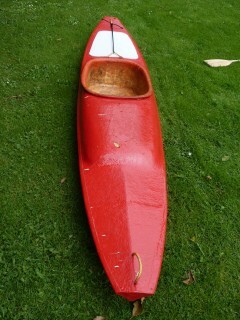 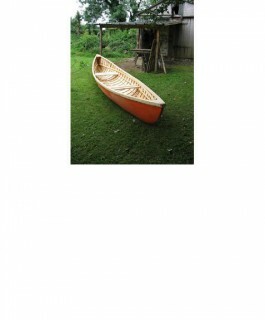 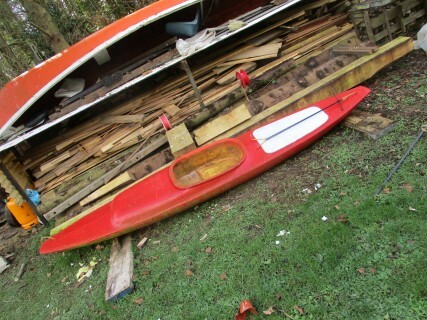 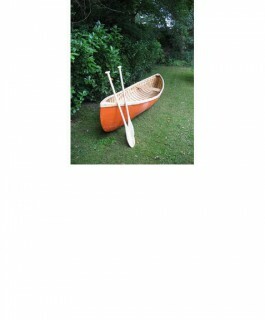 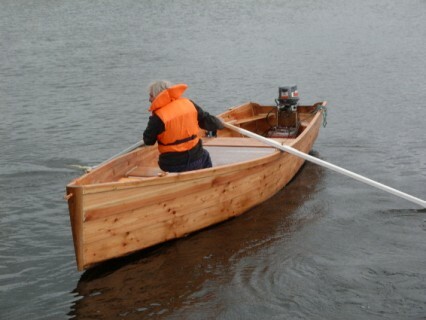 I can only have so many boats about the house in case of a big flood , so I decided to sell the new naibhog . 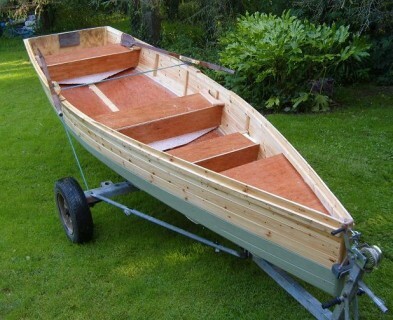 Asking price is€ 1800.00 (non negotiable) I will deliver the ship to your place of choice within reason.The purchase will be official and a receipt will be given . 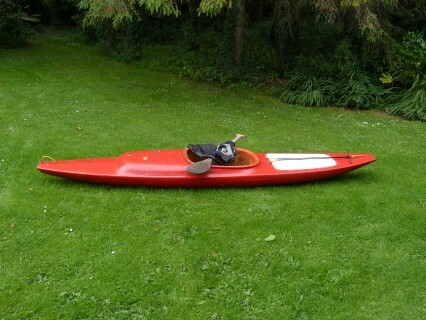 Start the offers coming ! 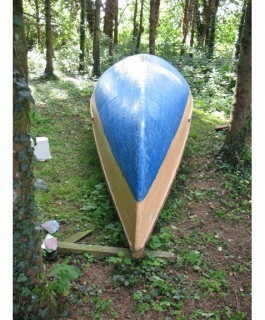 You can always offer more of course ! 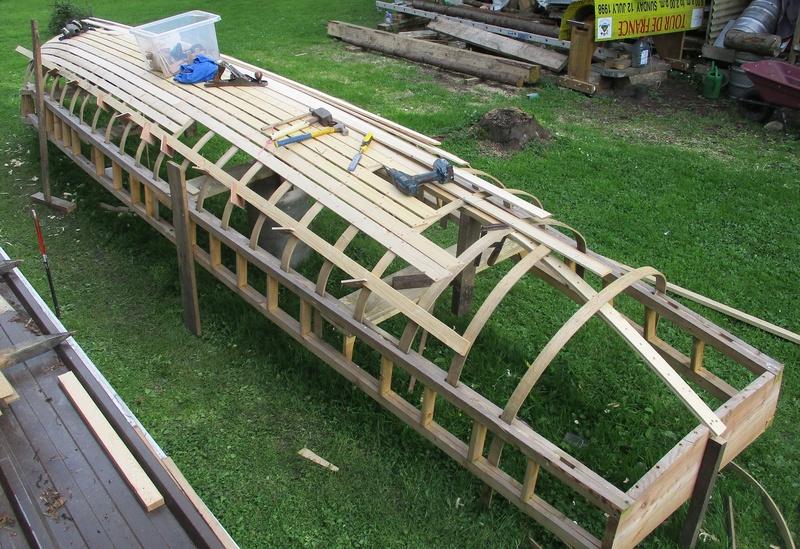 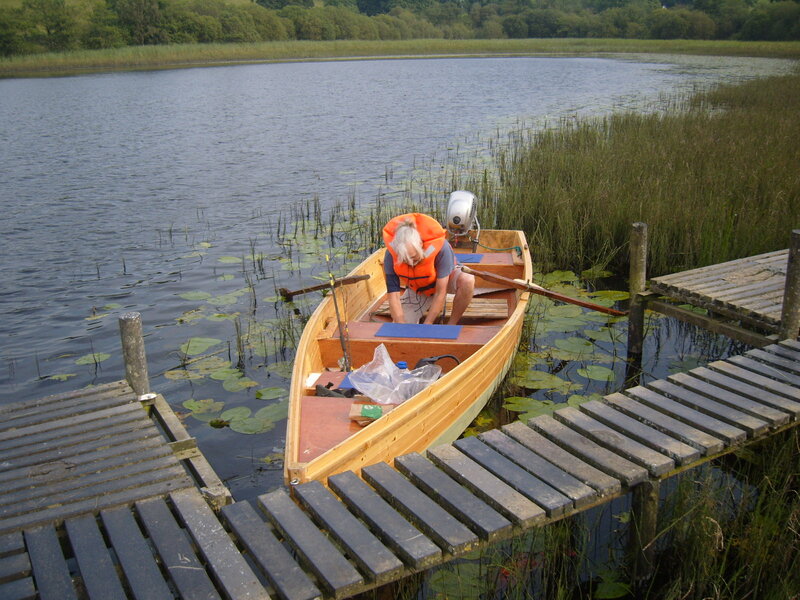 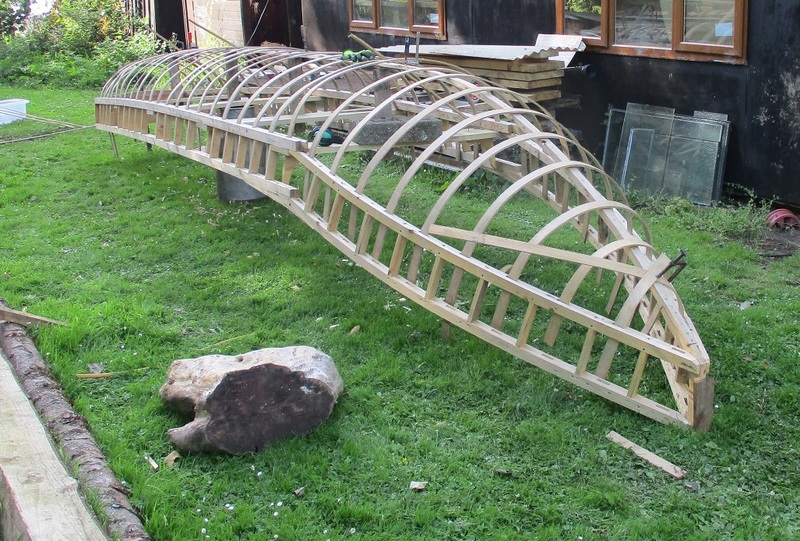 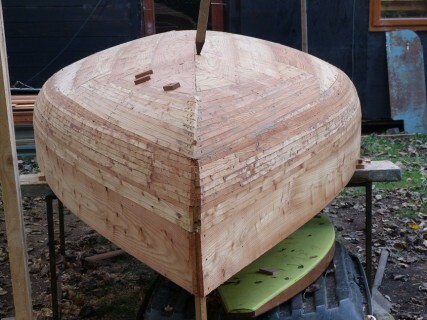 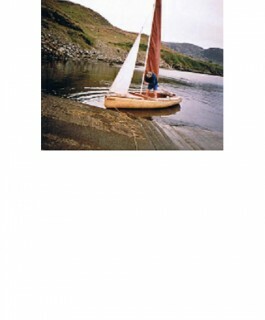 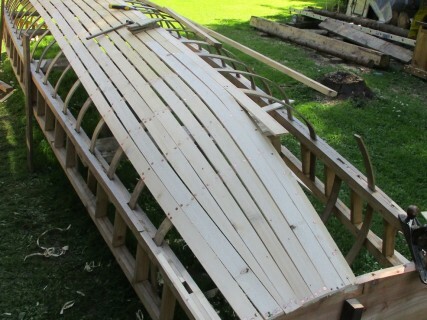 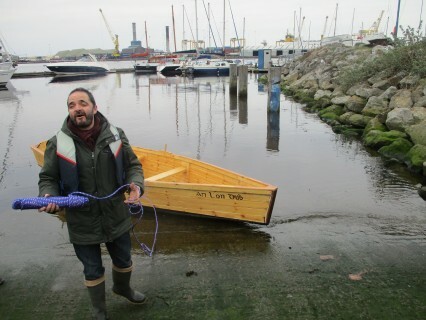 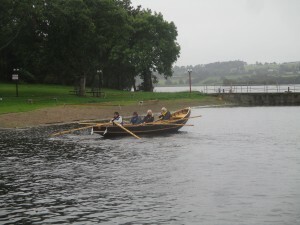 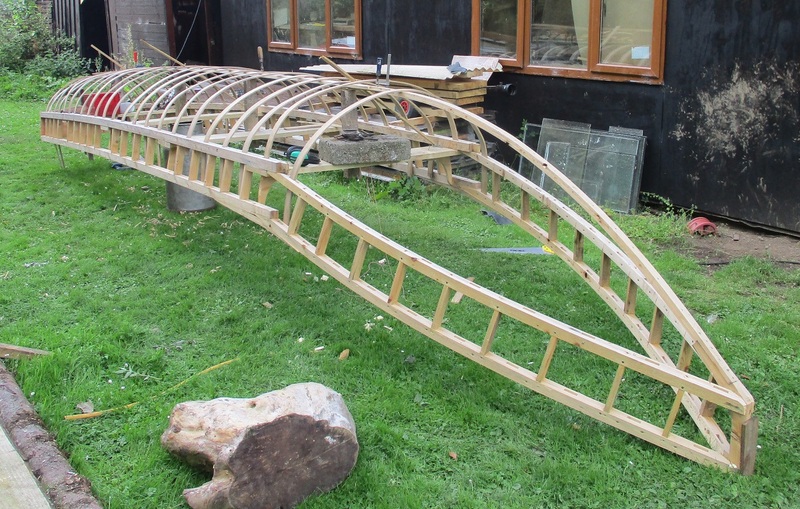 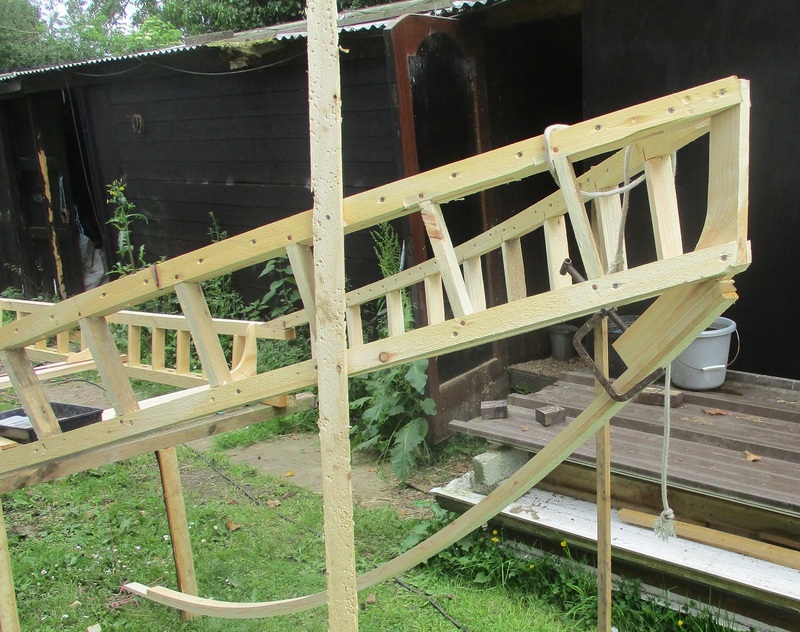 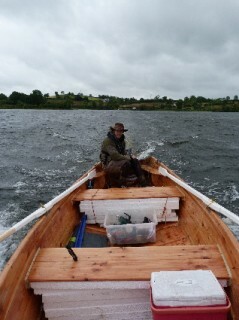 BOAT BUILDING AS A HOBBY AND SAILING FOR PLEASURE ! 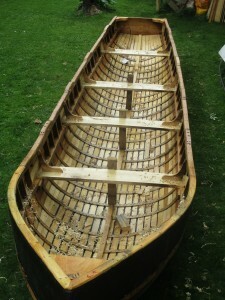 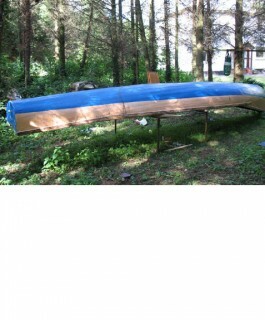 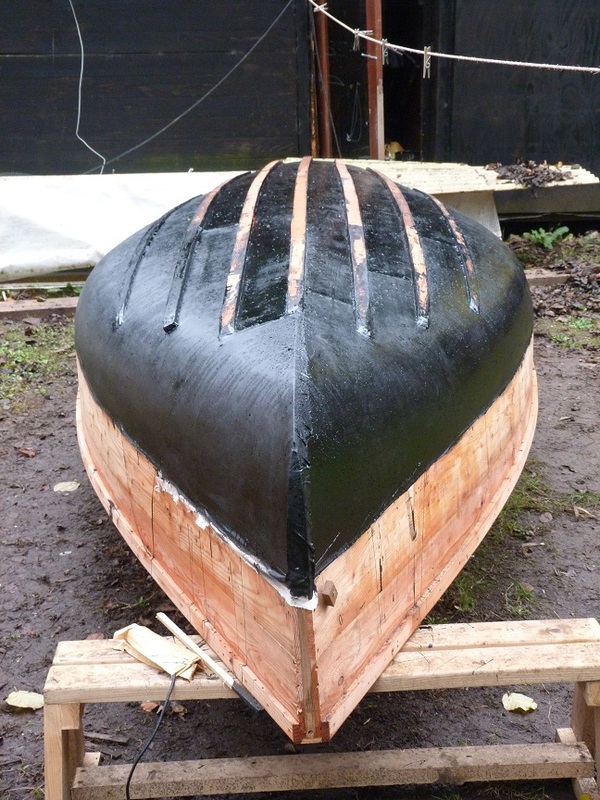 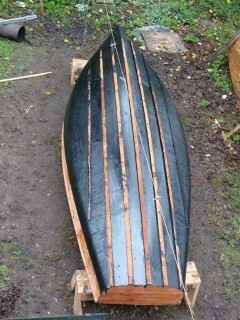 this series of pics is of a 19ft x 6ft larch boat ( a layer of canvas and tar on the lower belly). It has been adapted for sailing since . 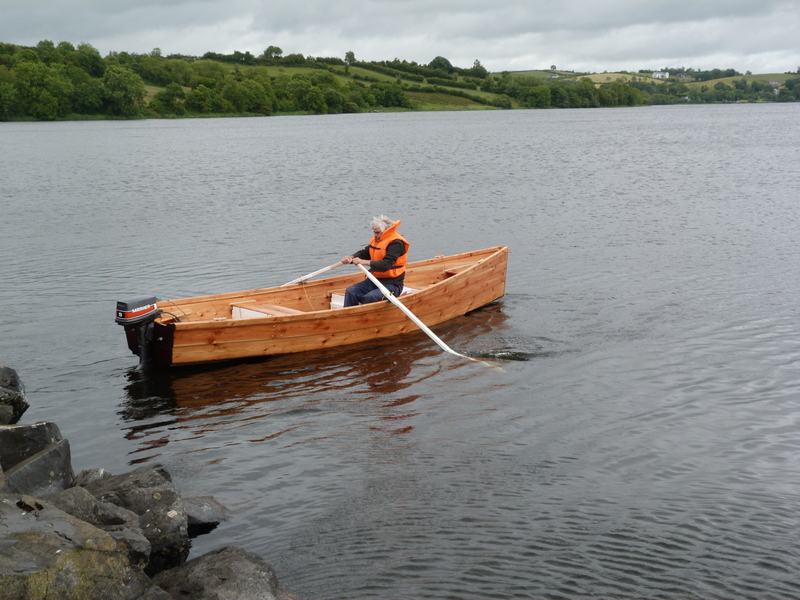 I named her “Teelin Lady” after my favourite spot in Donegal, Teelin Bay.I have since replaced the canvas with glass fibre . 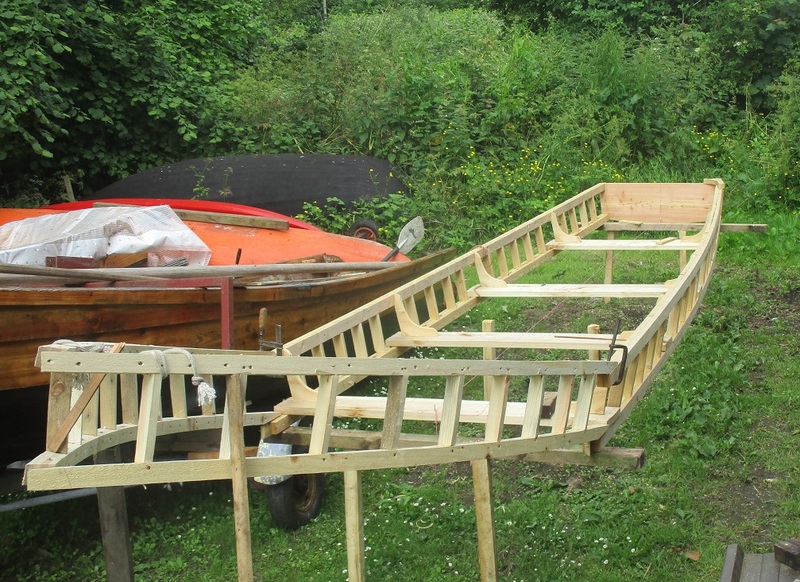 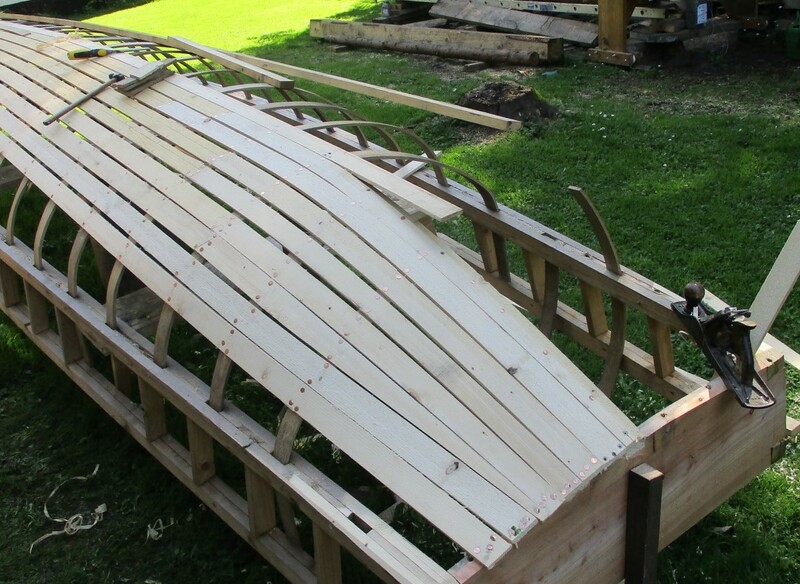 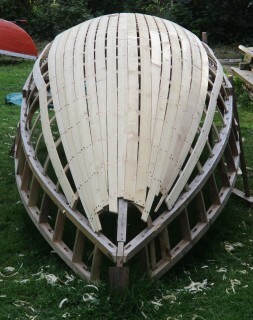 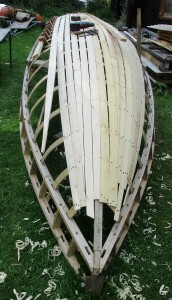 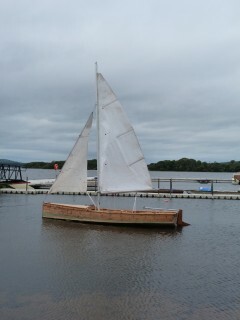 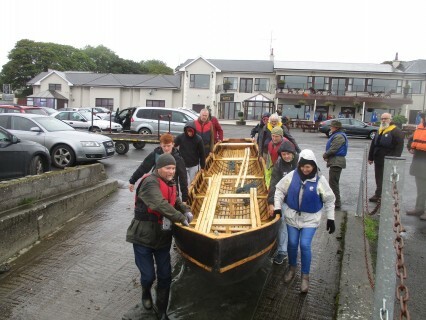 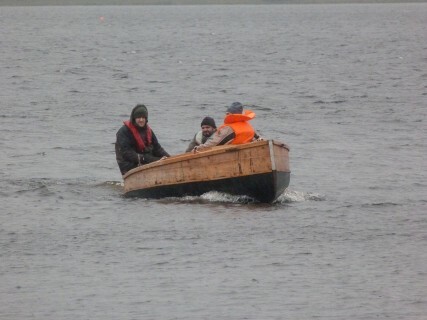 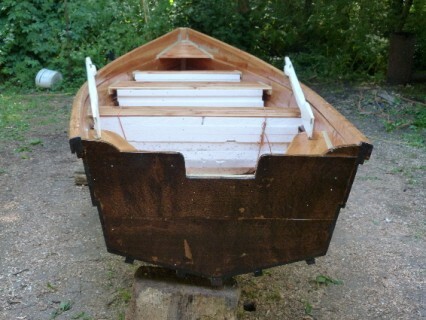 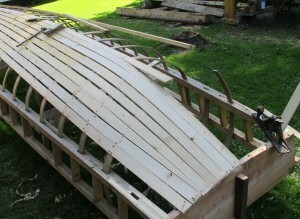 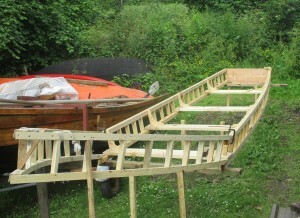 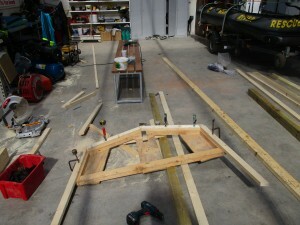 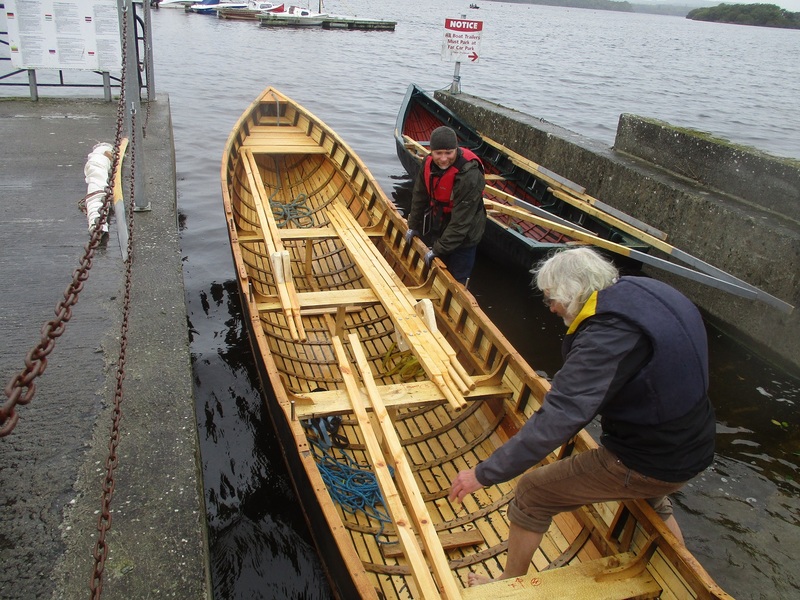 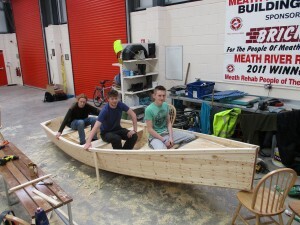 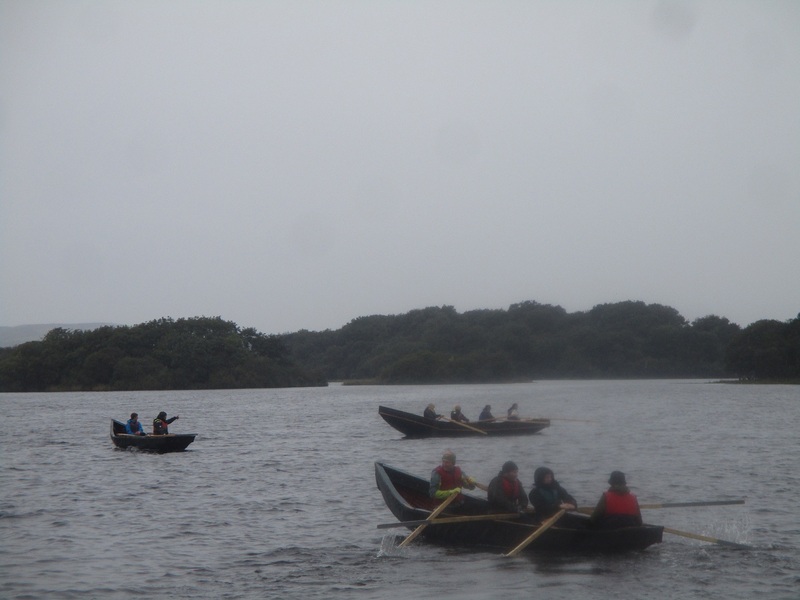 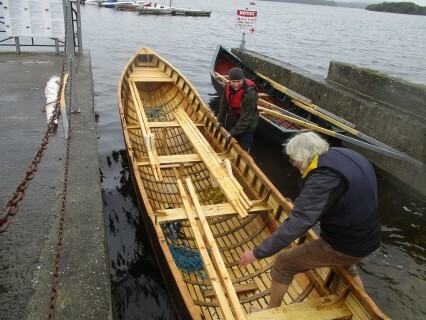 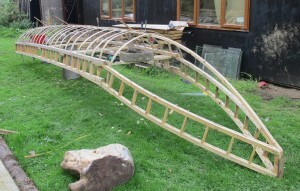 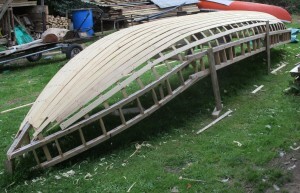 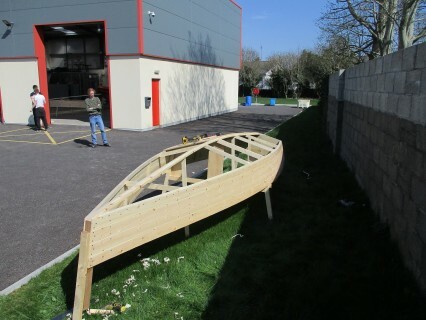 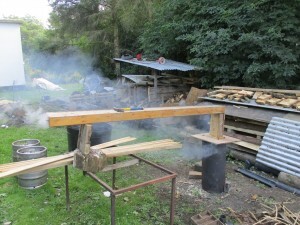 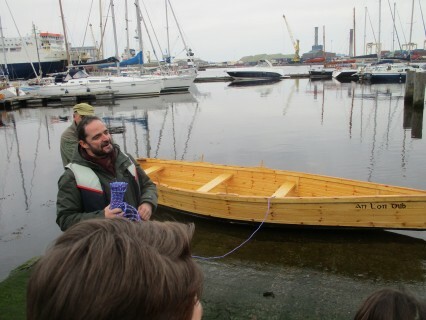 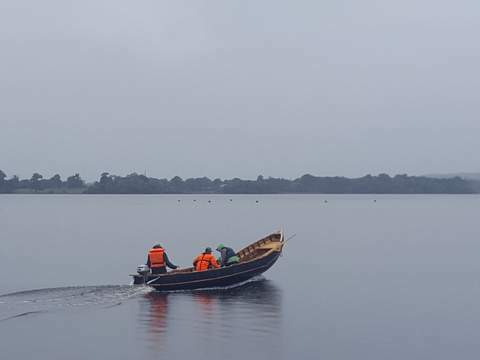 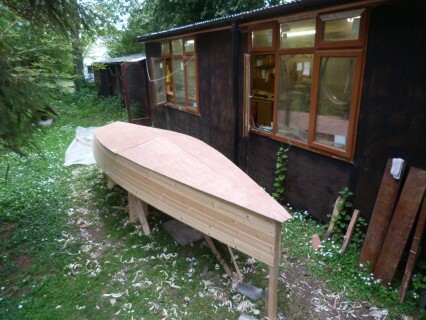 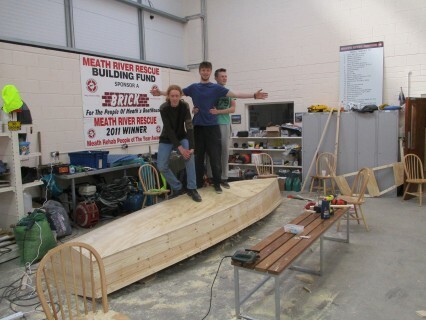 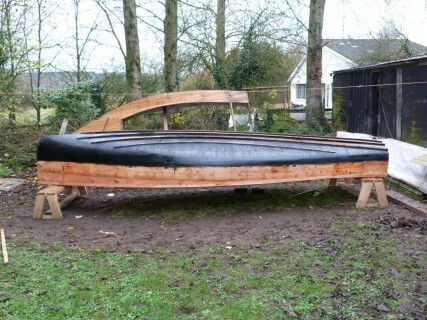 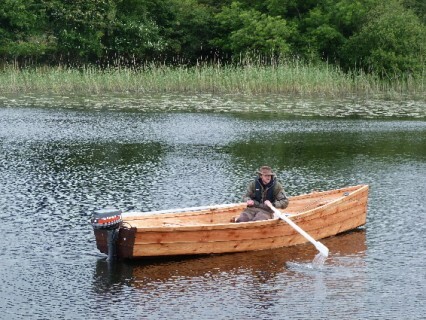 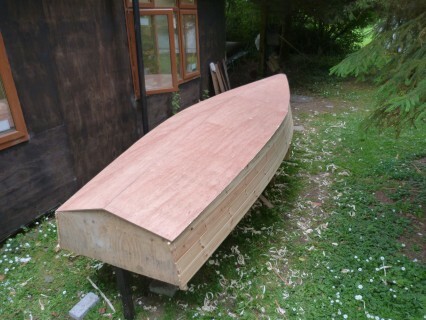 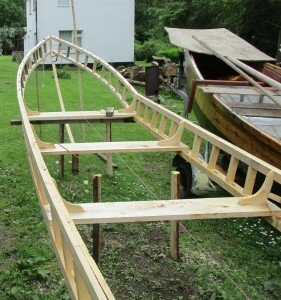 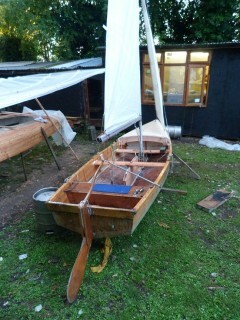 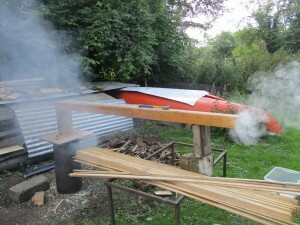 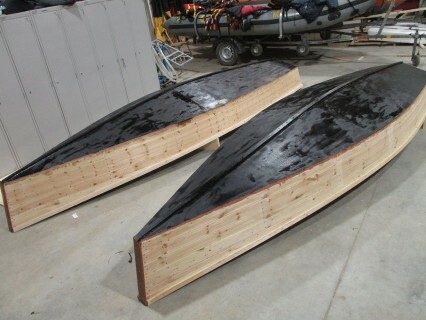 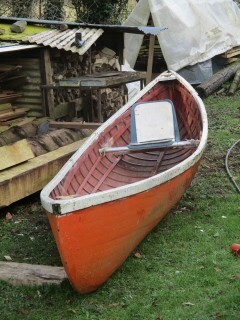 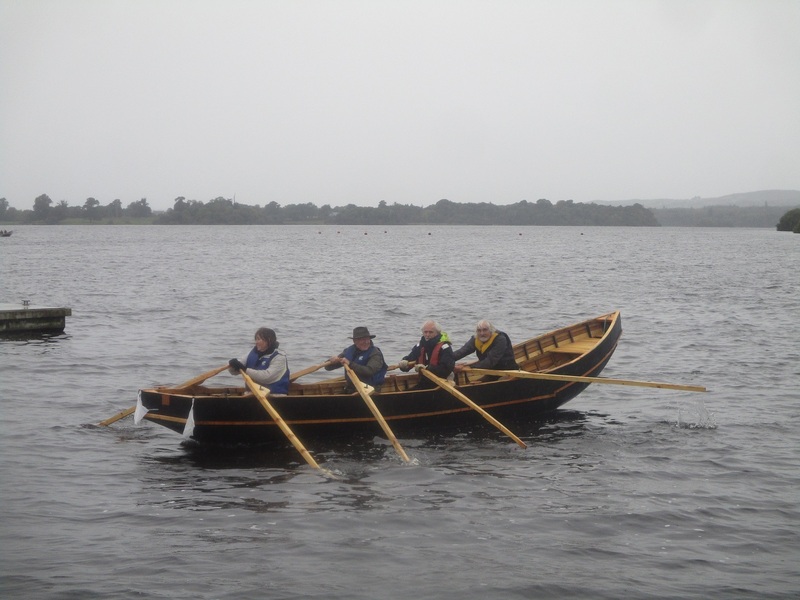 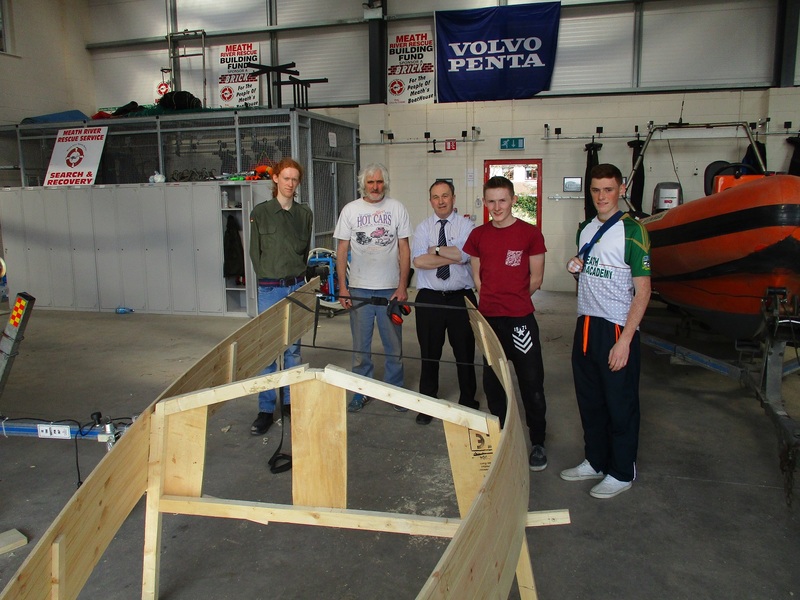 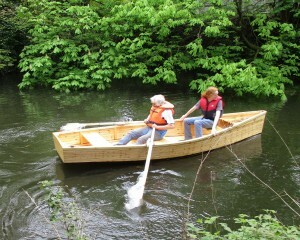 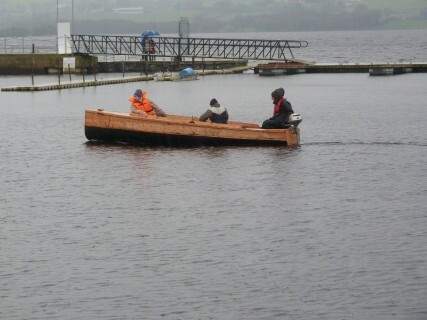 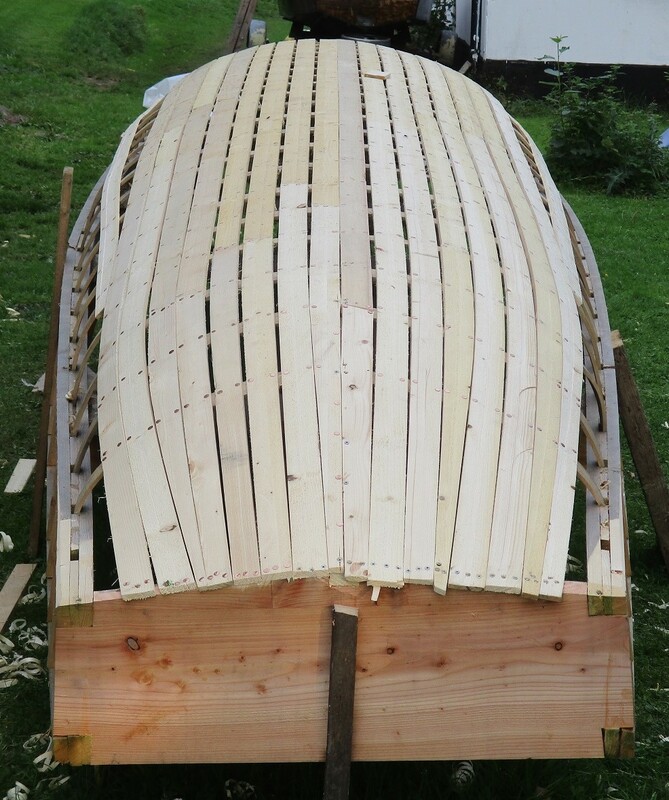 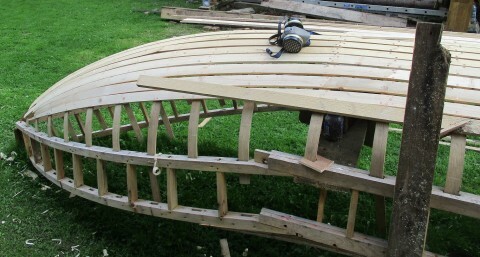 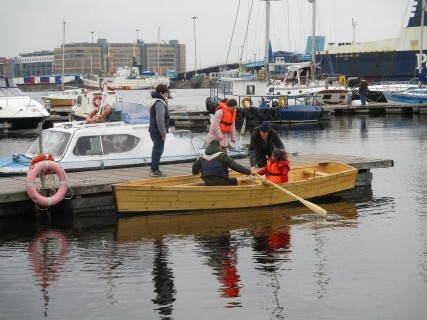 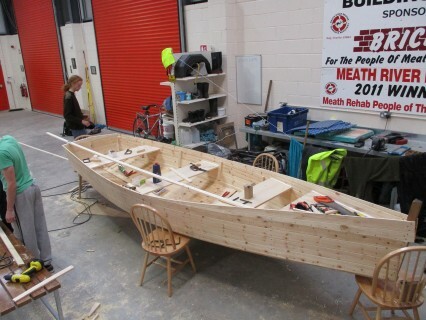 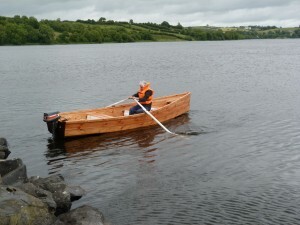 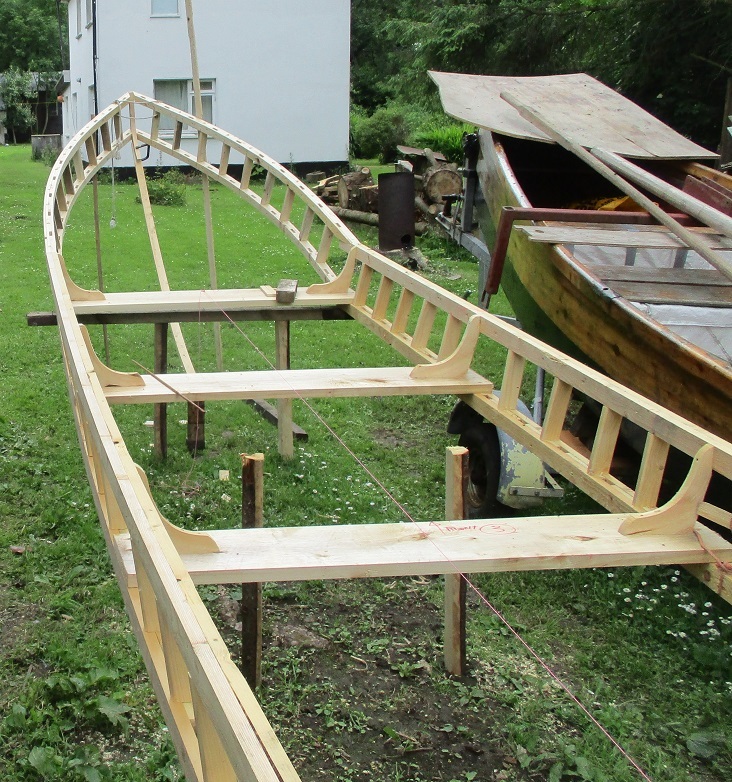 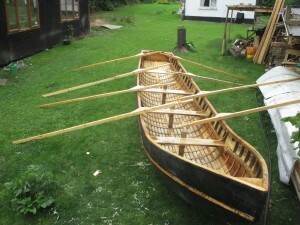 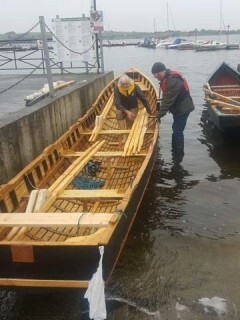 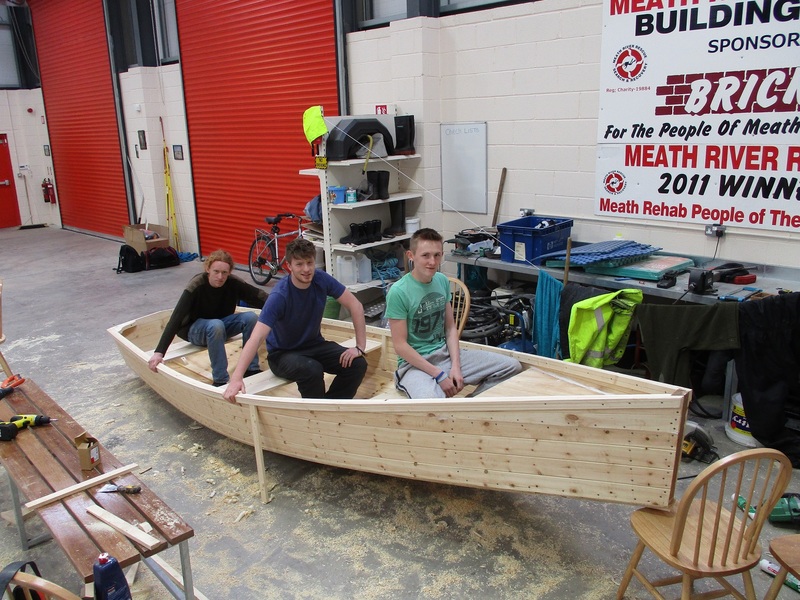 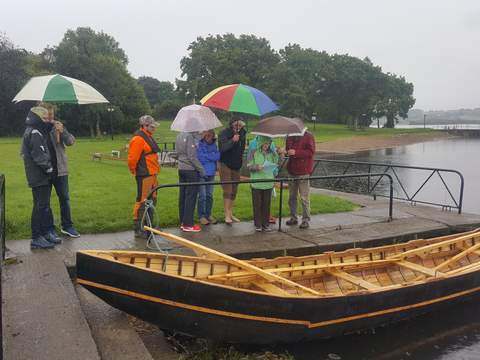 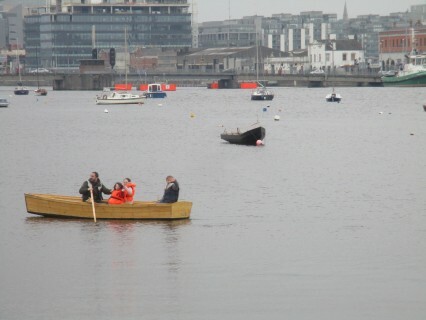 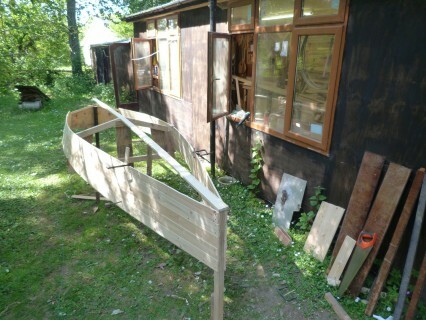 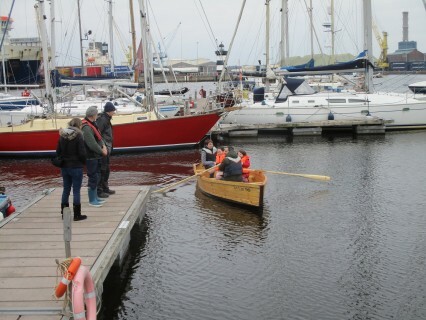 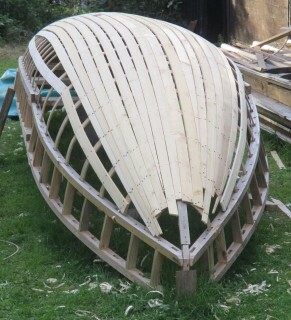 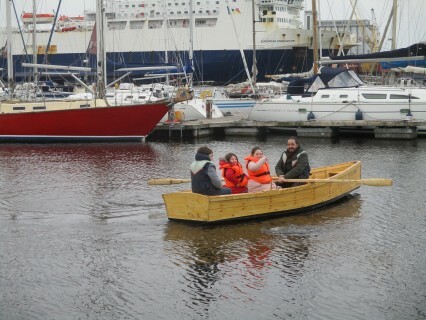 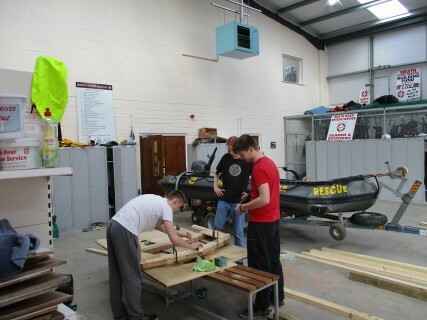 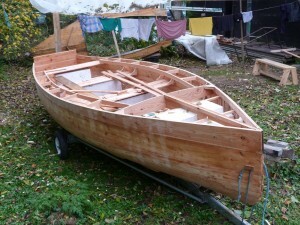 The preceding pictures illustrate the building of two 16 ft boats with 4th year students from a local secondary school . 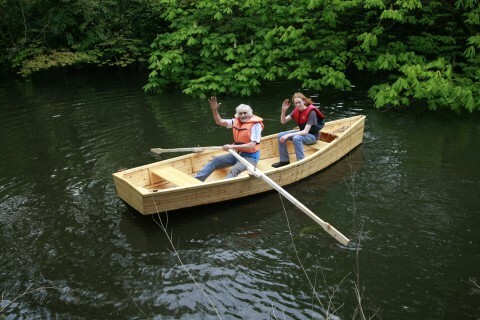 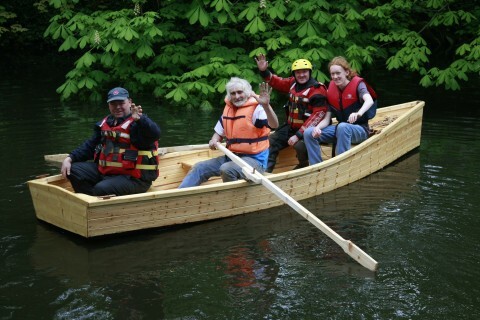 I’m always open to a request to make a boat with a group or individuals . 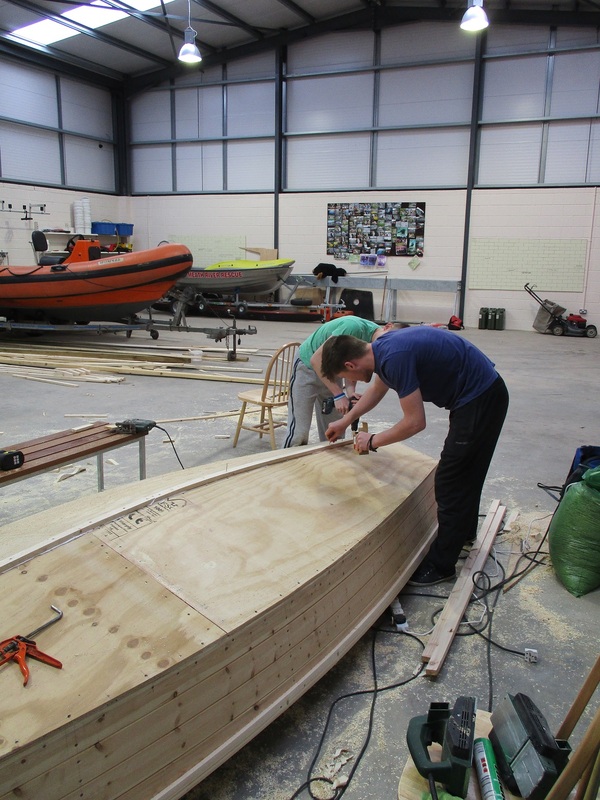 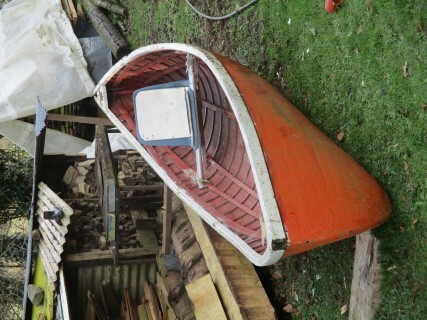 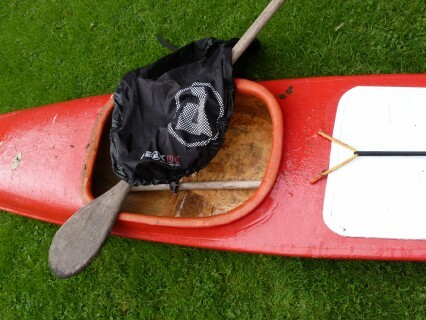 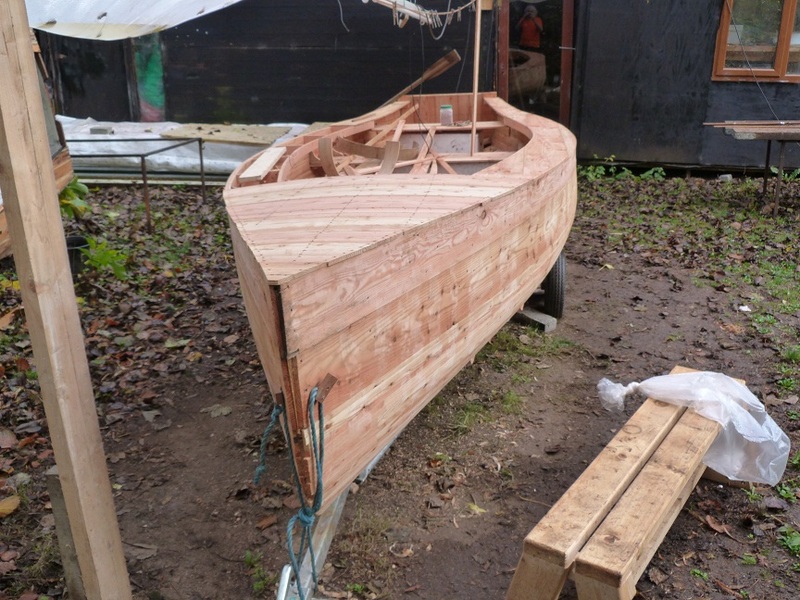 It brings variety to the working day.If you’re involved with sea scouts and would like me to show your members how to build their own boats give me a call. 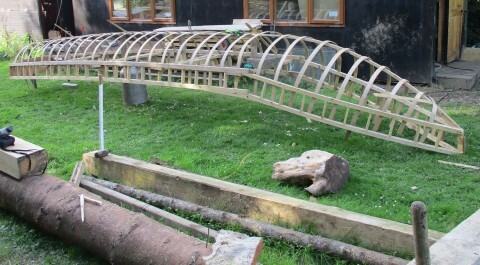 We can work out a shape and size to suit the requirements . 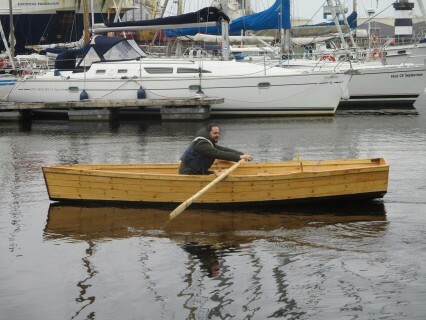 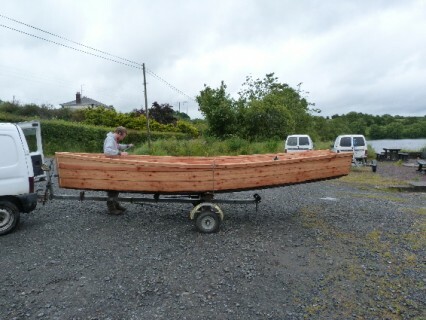 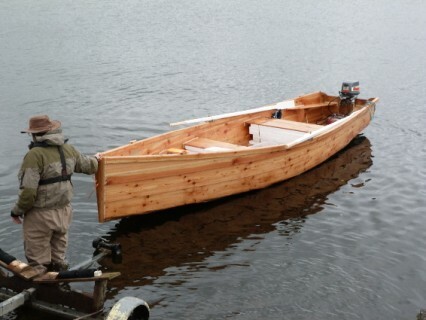 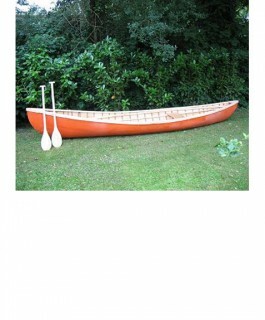 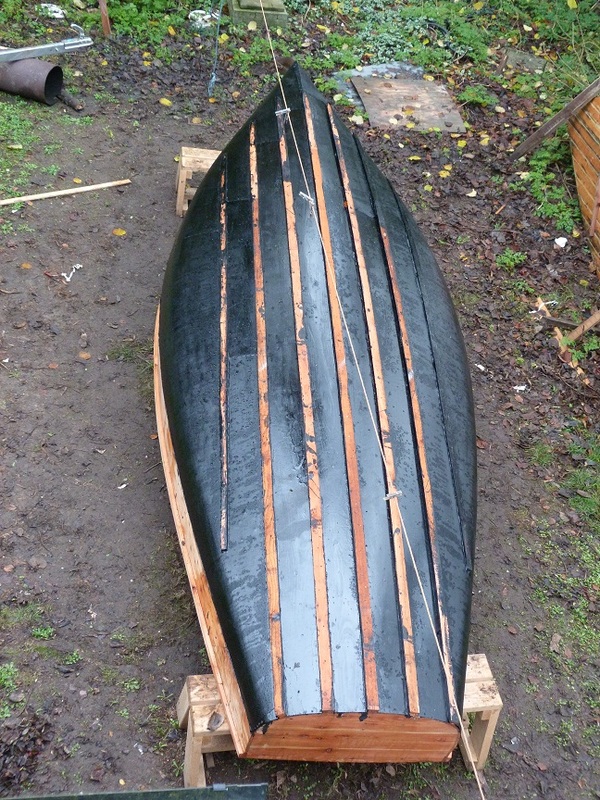 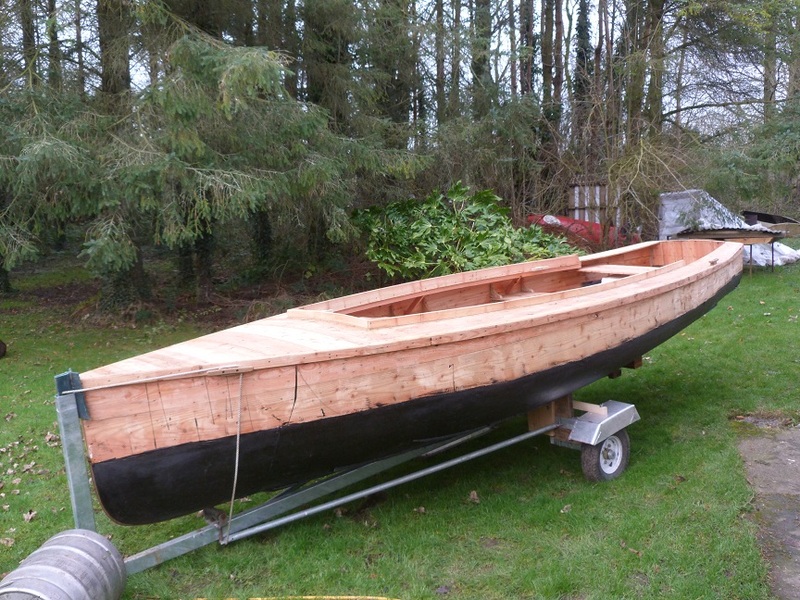 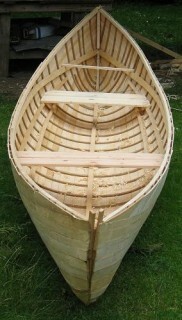 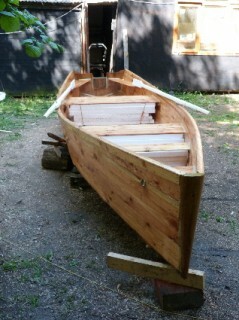 see below an 18 ft version of the same design.Native larch 14 mm thick .Can seat four adults and moves very nice with 4 HP engine. 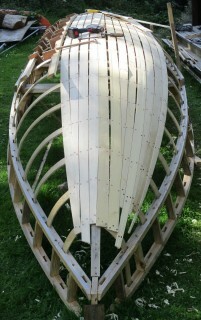 Buoyancy permanently installed. 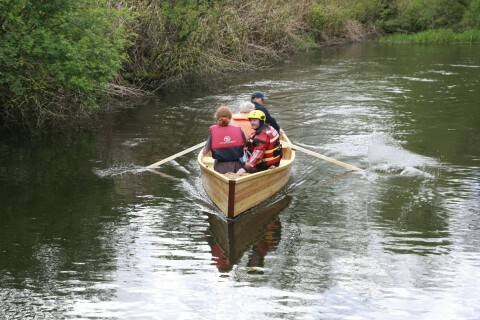 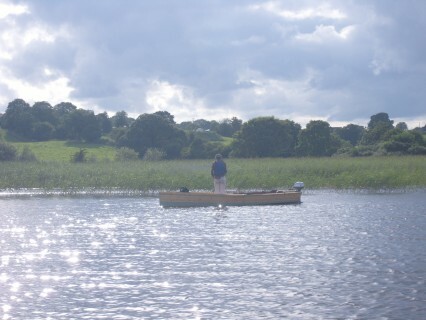 going down the rapids at Scurloughstown , downstream from Trim. 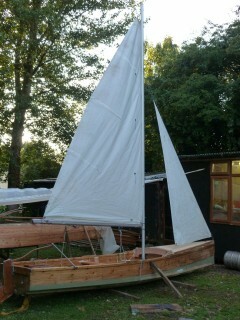 sodes fitted on the A- frame with the keel installed , ready to take the bottom.